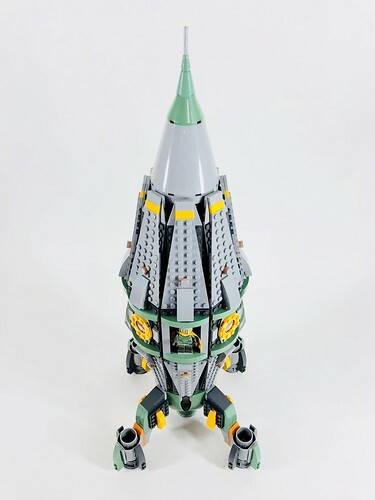 Many builders bring new designs, techniques, and styles forward in order to create incredible spaceships that look out of this world. No matter how cool they can be, sometimes it's nice to see a retro space build that brings things back down to Earth (so to speak). 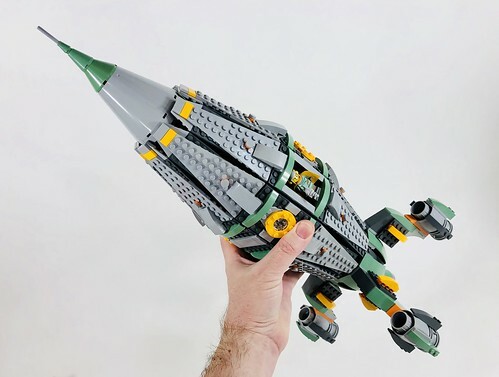 Boone Builds took the Retro Spacemen minifig from the 17th Collectible Minifigure Series as a source of inspiration to create this rad rocketship sporting some nice colors, sleek curvature, and powerful looking thrusters. I also really appreciate that Boone proves to us that you can swoosh this awesome spaceship. What do you guys think? Are you ready to try your hand at building some retro space models? !